Look through the browsing history of every content marketing professional’s computer and I guarantee you’ll find the search term “What makes a content campaign successful?” This is something we’re constantly discussing in the office. Is there even a formula behind the success? Sometimes it doesn’t even make sense. Sure, that cat looks a bit cranky, but you should see Purry when he doesn’t get any appreciation after bringing in a “gift”. 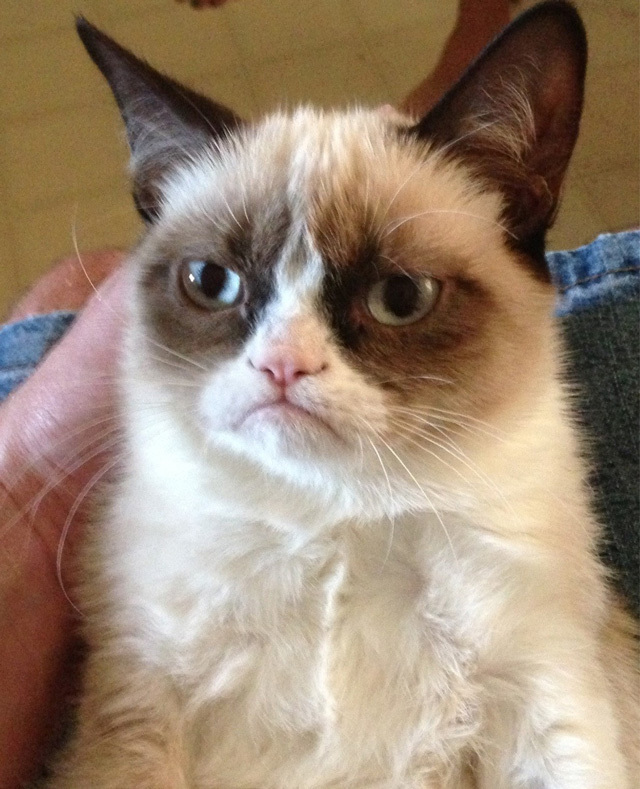 Now, that’s a grumpy cat! To try to answer this, our content and outreach teams are always trying to unearth the recipe behind a successful digital campaign. To do so, we analyse the performance of our campaigns on an on-going basis, looking at factors that might have played a role in its success. When we started digging into some of our most effective pieces, we found that most had something in common: they were all Educational, Engaging and Emotive. Let’s look at three of our most successful campaigns, and whether they tick off the big three Es. The luxury hotel chain Fairmont is best known for its historic properties and celebrity guests. What few people know is that they also host some other very important guests in their hotels: bees. So why would a hotel chain invite stinging insects to their properties I hear you ask? Well, you may have heard about bee decline, the issue where bees are facing extinction due to climate change, pesticides, habitat loss and other factors caused by us humans. To give the bees the attention they deserve (and need), we created a photo series that would show how our lives could change if they died out. You see, as well as being cute and fluffy, bees are extremely efficient pollinators and instrumental to our food supply. Truth is, without them, both the food we love and need would be at risk. To help tackle the issue, Fairmont initiated a Bee Sustainable Programme and equipped many of its hotels with apiaries. To shine light on this brilliant initiative, we created a campaign that shows the reality of what a typical meal would look like if bees died out (and trust me coffee lovers, it ain’t pretty). The Life Without Bees campaign is a photo series that explores how typical meals would look without the pollinating forces of bees. The before and after images can be easily compared with the help of a slide show, adding some interactivity to the piece. Before photo: Coffee in the cup, all is good. With a total of 75+ linking root domains, the piece was highly successful. Apart from the photos themselves, we created GIFs of each meal as an additional outreach asset to share with journalists. These went down really well and were included in many of the placements we secured such as Huffington Post, Mashable and Care2. Rentokil, the experts in pest control, wanted to create a content campaign that would appeal to both consumer and B2B publications to increase organic visibility and traffic for rodent-related search terms. As a starting point to find inspiration for the campaign, we carried out initial research and looked at ‘rodent news’ that had hit the press recently. …but tough luck for us, journalists aren’t that interested in cute stories about cute rodents doing cute things – they want rat horror stories! With our facts straight, we did what every good marketer would do: we put our phobias to the side and started researching the dark world of rats with the aim of creating an educational, engaging and emotive campaign. If you can’t beat them, join them! You see, rats are not only pretty disgusting*, they’re also masters of reproduction (not a great combo), and this is basically why the internet is full of headlines about rat-infested homes and cities. To understand why rats have become such a large issue in most major cities, we looked further into the reproduction cycle of rats and found that two rats could in practice produce half a billion descendants in just three years (!). Now, that’s a headline. To make the piece more appealing to B2B publications, we also included stats on which industries are most affected by rats and the increase of rat callouts over the past couple of years. Rise of the Rats. Pretty scary stuff, huh? Horror, fear and disgust are just some of the emotions that the campaign evokes. From a marketing perspective, we know that emotive triggers are super powerful as they can drive us to react. And to me, nothing says “I need to get someone to check out those noises I hear from the walls NOW” than a content campaign on how quickly a couple of rats can become a lot more! Turns out we were right about journalists: they really do love a good rat horror story. Here are just a few of the consumer sites who covered it: Daily Mail, Mother Jones, New Republic and Treehugger. Among the B2B publications who covered it were QSR magazine, PCT online and Pest Management Professional. The campaign resulted in an increase of 688% in traffic for rodent-specific landing page URLs, and organic visibility for rodent-specific keywords increased by 30%. Here’s a case study where you can read a bit more about the project. *After finalising this project, I have a new-found respect for rats. Turns out they’re extremely intelligent, laugh when you tickle them and love taking naps. Perhaps not completely dissimilar from yours truly. Staysure, the insurance company for over 50s, wanted to create a campaign to boost the organic performance of their Medical Travel Insurance section. When we initiated the research for the campaign, we found that there was a wealth of existing content around physical health impairments but noticed a lack of information relating to travelling with mental health issues. Sadly, mental health is an often-overlooked topic, yet it affects so many of us. To challenge this taboo and start a discussion, we decided to create a campaign on what travelling with a mental illness can look like. Our research for the piece is based around interviews with travellers impacted by various mental health issues such as depression, anxiety and OCD. The inspirational people we interviewed, who have successfully overcome their own mental health issues, had valuable insights to share and the artist we worked with had first-hand experience of the topic area. After the interviews, we had an artist create illustrations based on the key quotes from each traveller. These were added to the Staysure blog with background stories of each traveller. The campaign was incredibly successful and generated links from the BBC, Huffington Post and Medium amongst others. What followed was a surge of 75% in organic visibility for medical insurance associated keywords. It also won gold at the Digital Impact Awards for Best use of SEO for Corporate Communications! These examples all ticked off the Big Three E’s, but is that really the recipe for success? Let’s go back to Tard (aka the Grumpy Cat). He evokes emotion, I can give him that, but one would argue that he isn’t particularly educational. And as far as engagement goes… well…he’s a cat. As a dog person I wonder whether they are ever engaging (Purry is made up, by the way). Like I mentioned, sometimes success can seem like a mystery, but looking at what successful pieces have in common can help identify the factors that contribute to that success. As always, please feel free to get in touch – we’d love to hear about your thoughts on successful content campaigns. And Tard, if that’s you: sorry to drag you in like this. I didn’t mean to make your day even grumpier.